In a bit of surprise casting, Hollywood icon Robert Redford is in talks to join Captain America: The Winter Soldier, the sequel to 2011’s Captain America: The First Avenger. 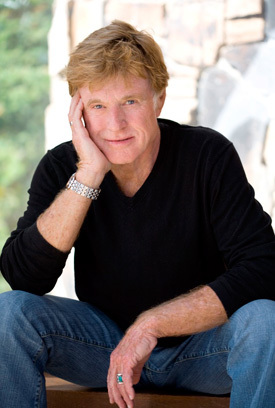 Redford would play a senior leadership role in the secret government agency S.H.I.E.L.D., reports Deadline. “Winter Soldier” would be Redford’s first foray into the world of superhero films but would reunite the actor/director with his The Horse Whisperer co-star Scarlett Johansson. Joe and Anthony Russo are directing the Marvel Studios superhero adventure, which will begin shooting in May. Chris Evans returns as the star spangled hero Captain America with sidekick Bucky Barnes (Sebastian Stan) reborn as the assassin The Winter Soldier. Frank Grillo joins the cast as the villain Crossbones with Anthony Mackie as Falcon and Revenge star Emily VanCamp as our hero’s love interest, Sharon Carter. Toby Jones will reprise his role as Dr. Arnim Zola with Scarlett Johansson as Black Widow, Samuel L. Jackson as Nick Fury of S.H.I.E.L.D. and Cobie Smulders as agent Maria Hill. Captain America: The Winter Soldier is scheduled to arrive in conventional and digital 3D theaters on April 4, 2014.